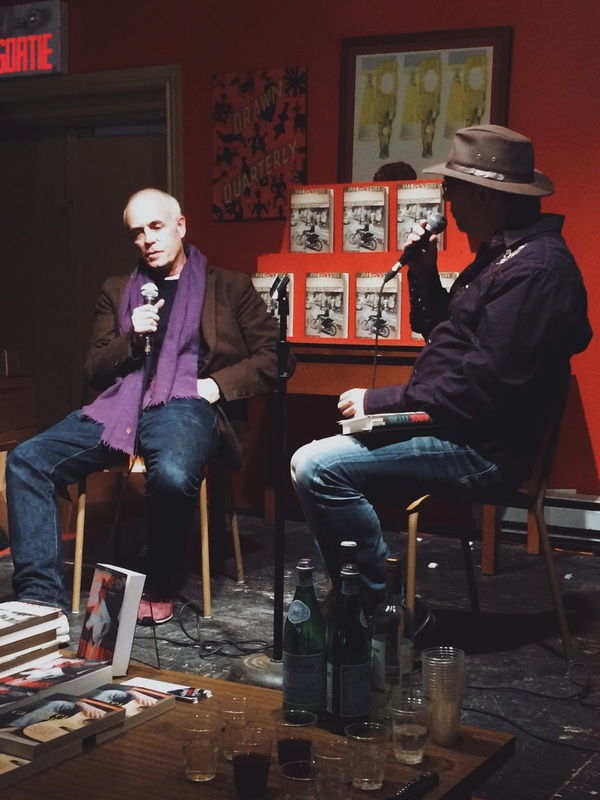 211 Bernard: Event Recap: Barney Hoskyns Launches "Small Town Talk"! 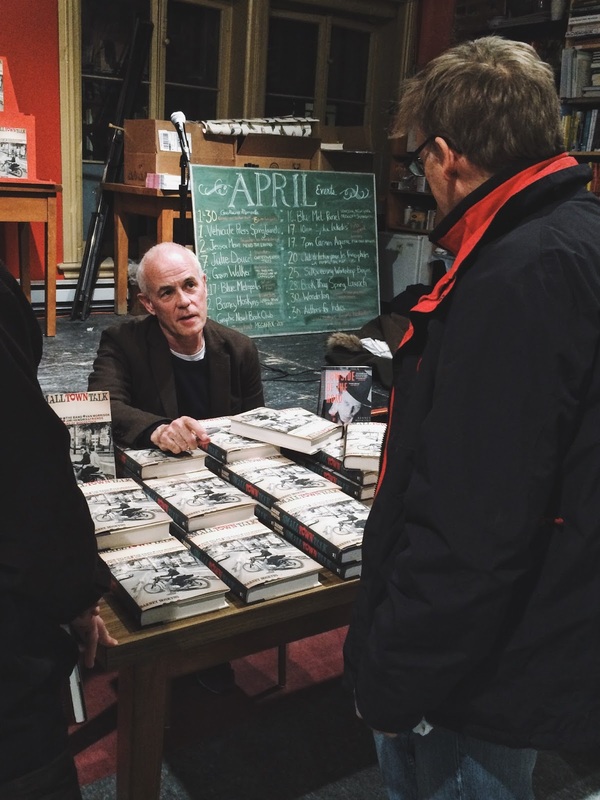 Event Recap: Barney Hoskyns Launches "Small Town Talk"! This past Tuesday (April 10) we had the pleasure of hosting pre-eminent music writer, author, and historian, Barney Hoskyns for the launch of his latest book Small Town Talk: Bob Dylan, The Band, Van Morrison, Janis Joplin, Jimi Hendrix & Friends in the Wild Years of Woodstock. 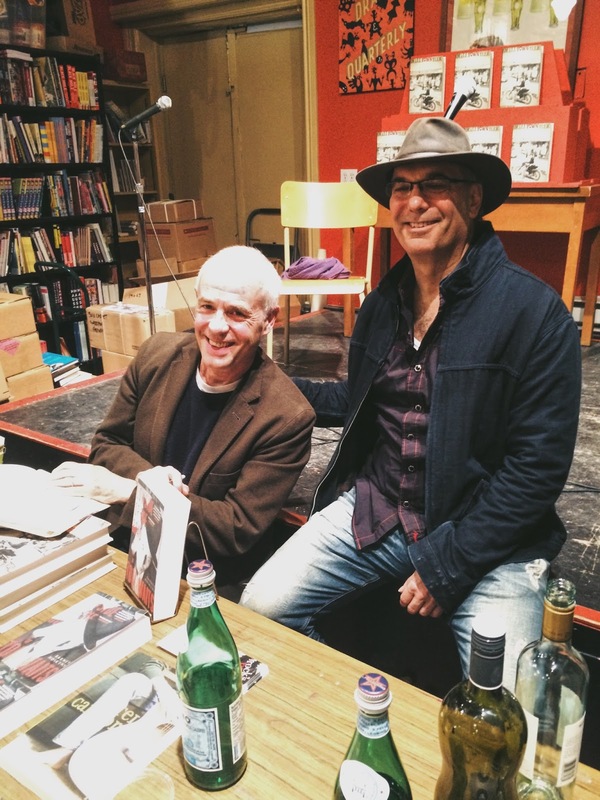 With Montreal's own renowned radio broadcaster Mitch Melnick asking the hard-hitting questions, both launched into a lengthy talk that had the Libraire's packed house at full attention. Telling its story from the earliest days as the bohemian arts colony, to its ongoing life as a cultural satellite of New York, Small Town Talk is a classic study of a vital scene in a magical place, during a revolutionary time. Focusing on the lives of the musicians and producers who played vital rolls in the development of the scene, Hoskyns' book shows a personal depth that very few "music books" have ever fully accomplished. Currently available in-store (and signed by Hoskyns himself), Small Town Talk is a must-read. 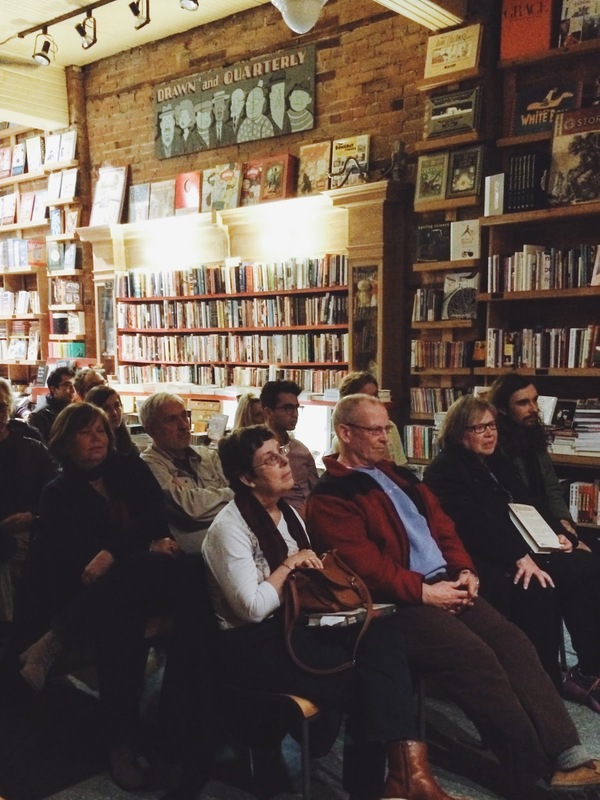 Thanks again to Barney Hoskyns, Mitch Melnick, and all those who attended!